Hafa, specialized in automotive and industrial oils and lubricants, has been provided with new solution of fuel management, by partnering with Alertgasoil. This start-up from Marseille, which created the solution of the same name, enables companies to handle autonomously their fuel costs and reduce their consumption up to 30% thanks to a real-time control, a tank optimization and avoiding robberies and waste. This partnership will allow Hafa to extend its presence on the French-Speaking African market, knowing he has already settled in Morocco, Cameroon, Ivory Coast and Senegal. For Alertgasoil, the benefits include a set-up in new countries. For Nicolas Buisson, Business Development Manager, this association is interesting : « fuel costs represent 50 to 60% of the haulage companies budget, a clear need of financial and green savings emerges as far as the competition exists in this market. Our customers appreciate this double expertise ». 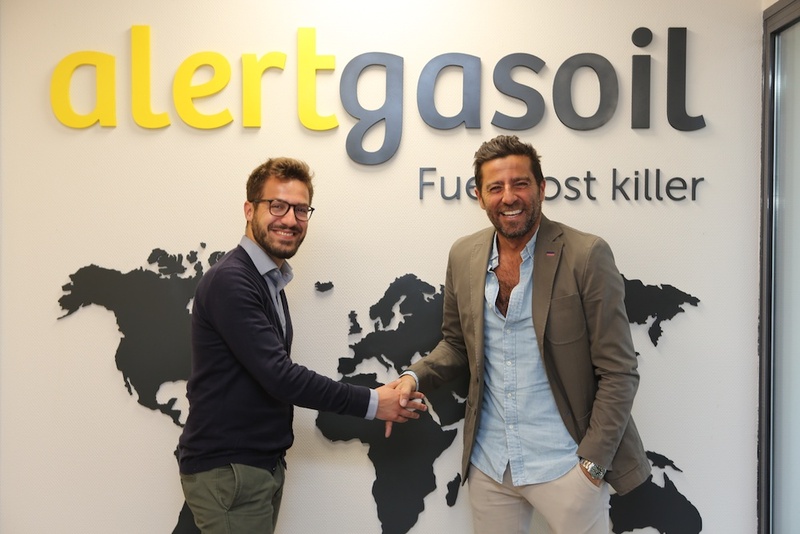 From left to right: Nicolas Buisson, Hafa’s Business Development Manager; Eric Elkaim, Alertgasoil founder and CEO.